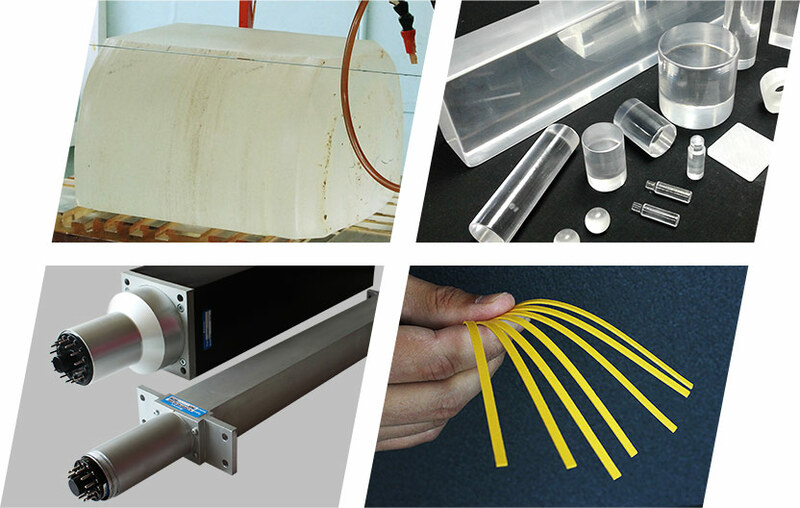 AMCRYS is the company of the full production cycle: raw material synthesis, crystal growth, detector assembling, nuclear electronic modules and other devices, as well as testing and certification. Along with the production of standard scintillation products, AMCRYS offers products manufactured according to the customer's special requirements. AMCRYS is one of the world industry leaders in the field of growth of high-quality large size alkali halide crystals. We are capable of growing up to 50 tons of high-quality alkali halide scintillation materials per year. We not only offer a vast variety of scintillation crystals of standard sizes and specifications, but are also capable of growing customized crystals with properties modifications to fit specific systems and applications. 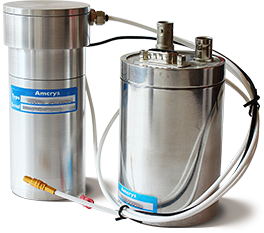 AMCRYS is the commercial brand of the Scientific and Technical Concern "Institute for Single Crystals"
• production of organic and inorganic scintillators. We have gained experience in developing and manufacturing scintillators designed for high-energy physics, nuclear medicine, environmental monitoring, nuclear physics, geophysics, security systems and defectoscopy. We adhere to the basic principle of meeting our customers' demands. We aim at maintaining fundamental research and we are always open to collaborate in the area of scientific search. 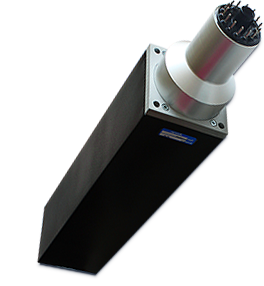 We can provide both standard and customized detectors. We can modify detector design and dimensions for specific applications. Customized detectors and assemblies are manufactured according to the customer's requirements. We invest in the production expansion and improvement. Alkali halide, oxides and plastic scintillation crystals can be produced in a variety of dimensions and configurations. We have the capability to grow high-quality large size halide crystals. We also have developed specific techniques for extrusion, forging and crystal machining techniques and technologies that from the base for product of special application detectors and assemblies for nuclear medicine, industrial, astrophysics and high energy physics, security control, geophysics, environmental monitoring and so on. At the latest time Amcrys is one of the world leaders in the manufacturing of scintillation products for various branches of the science and industry. At present we offer the widest range and nomenclature of the scintillation products. Alongside standard encapsulated scintillators, scintillation assemblies and medical imagine products. 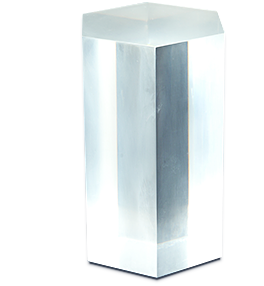 Amcrys produces the custom-made scintillation products according to the customer's requirements. Special encapsulated scintillators and scintillation assemblies with different scintillator's type shape and dimensions are available. Many years of successful development and manufacturing of scintillation based detectors of radiation allow Amcrys to implement this knowledge into design of the top line electronics for nuclear applications. We are using a different approach in customer satisfaction than other company. Offered products, although carry standardized parts, mainly design for quick and easy modifications according customer specific requirements. It allows for better creativity of our customers for the cost of standard of-the-shelf equipment without being afraid of high cost of customization. Nuclear electronic equipment designed and manufactured by Amcrys utilizes latest achievements in electronics and easy upgradeable when new parts are available. With individual approach to customer needs and easy modifications of the pre manufactured parts we achieve a complete customer satisfaction and top performance of our detection products. Our electronic products also designed based on our own in house R&D. 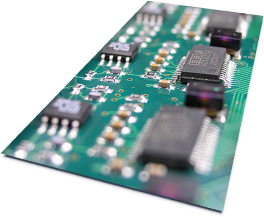 MCA based on precision free running ADC allows dead time minimization practically to zero, significantly improving differential spectrum non-linearity, flexible tuning and also allows to create oscilloscope check points for easy diagnostics.